The intimate, vulnerable space of childbirth transforms the birthing woman like nothing else can. These are moments of deep commitment and connection, surrender and strength, immeasurable challenge and joy. Capturing these moments captures the very essence of the human experience. The calm within the chaos, the peace in the flurry of activity, the ultimate sacrifice for the ultimate gift. "Our experience with Shawna was idyllic. She captured intimate family moments that we will forever treasure. Moments that I didn't even notice during the intensity of labor. We're so grateful for her beautiful work!" First and foremost the birth of your child is the most monumentous moment in your lives. I'd even go so far to say that it trumps the wedding day. Birth can be a crazy roller coaster of moments and emotion that are easily forgotten. Having a birth photographer not only documents those moments and so much more but also does so in a unique and artistic way. Having a Birth Photographer also frees up your support team to focus on you and baby so dad gets to be in the photos too! will we meet you before the birth? Yes! I love meeting with parents and even siblings before hand. If you're planning a Home Birth I prefer to meet you at your house to get a better feeling for the space. Being that I myself am mother a mother of 3, I take limited bookings per month. It's best to contact me asap so I can get you on my calendar. 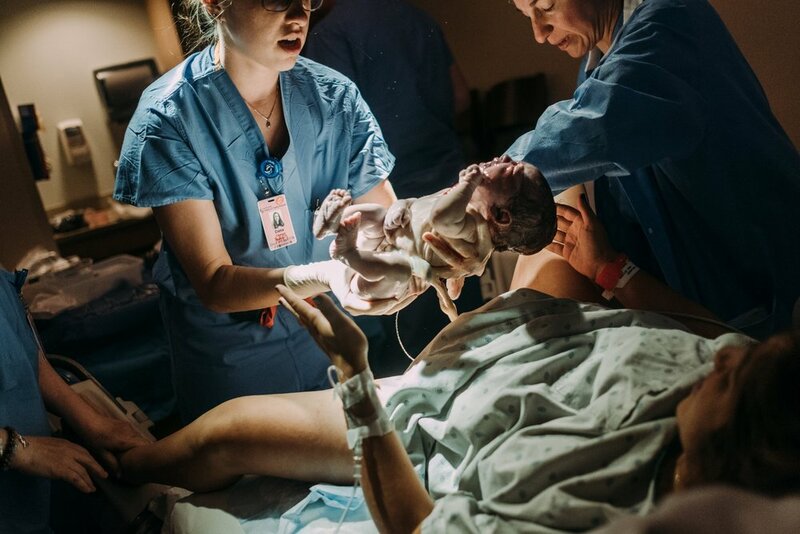 what if I want my birth photographed but my partners not sure? This a decision that the two of you will have to decide on together. Having an in-person consultation is a great time for partners to ask questions and get to know me better. I'm not a stranger in the room taking up space. I'm intuitive, discrete and most importantly a mother myself. I'm able to read the energy in the room and know when to engage and when it's best to give you space durning labor. One thing I always tell dads is how important their roll is in your birth story. How amazing for them to be able to be a vital part of your birth story and have those first moments of life recorded with THEM too. How long do you stay and what if i have a super long labor? All births are unique. I will never stay less than two hours and average is probably about six hours. Unpredictably long labors simply come with the territory. Babies come when they want! This line of work is unpredictable and just like your care provider can not guarantee with 100% certainty that they will be there, neither can I. To date I have never missed a birth but in the event I can't be there I have a network of local photographers for back-up. My fees are also transferable and can be used for a Welcome Home Baby session or other family session. will you post photos of my birth on the internet? I have the utmost respect for you and your privacy. No photos will posted without your consent. A password protected gallery and slideshow will be delivered via email and even if you've given me full consent to share I always double check :-). do you travel for births? Given the unpredictable nature of birth traveling more than 2 hrs outside of my city is tricky. If you'd like to discuss your birth plan with me in detail and see if arrangements can be made, please send me a note! why is birth photography expensive? There are a few very popular questions about what I do but by far the most popular is–WHY IS BIRTH PHOTOGRAPHY SO EXPENSIVE??? I feel that this post by the amazingly talented and inspiring, Kyla Grey is the best response yet! do you have recommendations for birth professionals in Buffalo? YES! Selecting your birth team is one of most important part of achieving the birth you desire. Below is a a list of my favorite individuals that I've worked with personally or professionally.